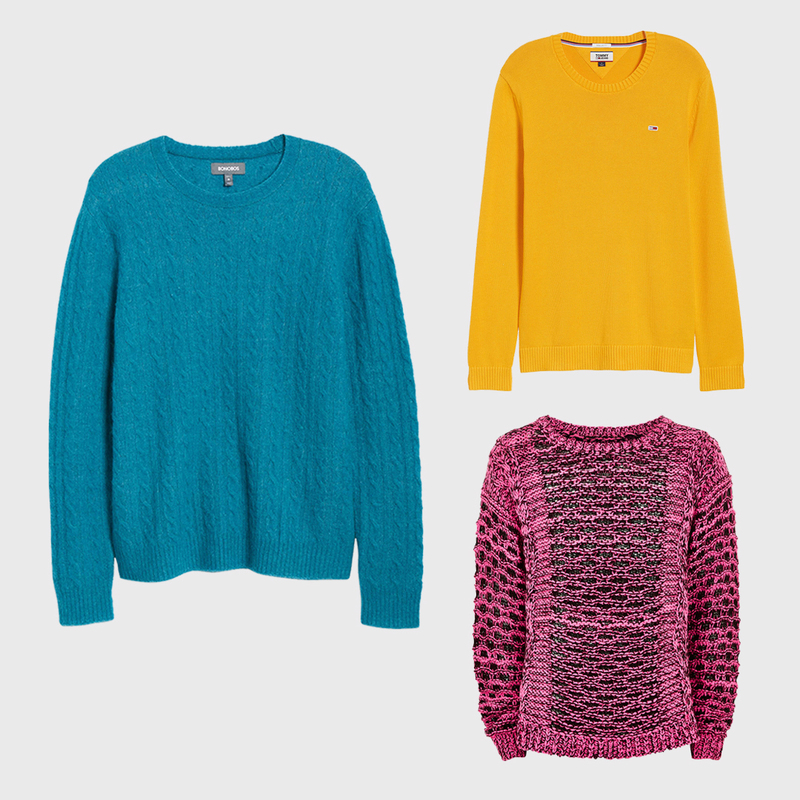 Forget boring, run-of-the-mill knitwear and go bold and bright to perk up your winter wardrobe. 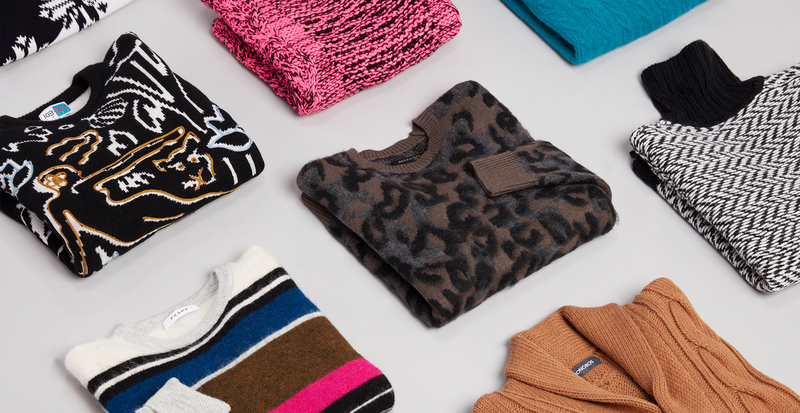 Opt for a sweater that breaks the mold with exciting color schemes, eye-catching prints, and unique textures. A statement sweater will carry your outfit and serve as a focal point, making it pretty easy to style—all you need is a neutral bottom, like staple chinos or basic denim. Get inspired below by some of our favorite stand-outs of the season. 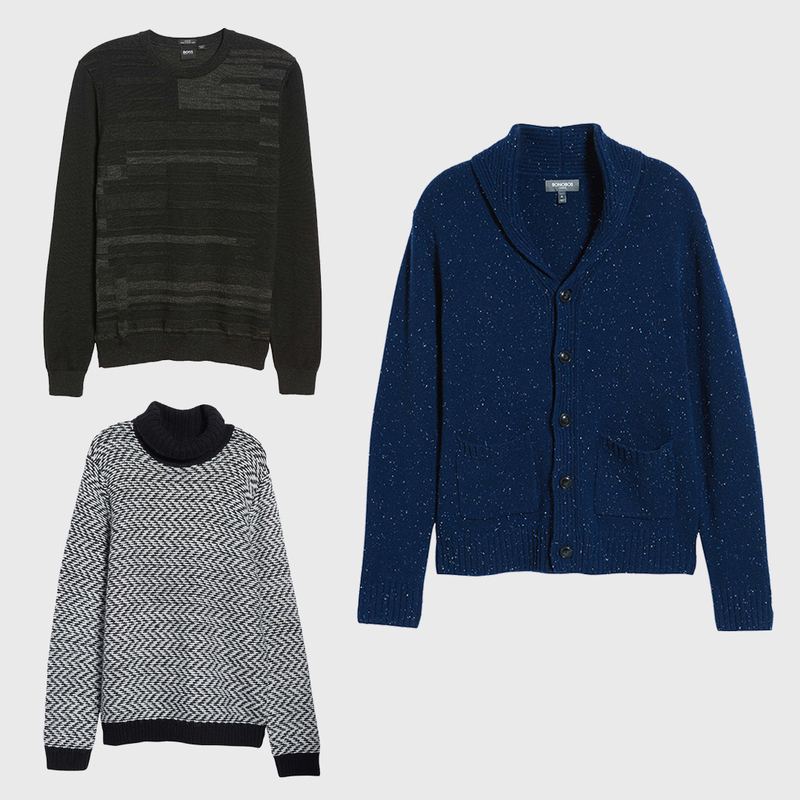 Unique textures go hand in hand with sweaters, and these chunky knits definitely capitalize on this feature. You’ll find this trend in a cool range of styles, from a cable-knit cardigan to a herringbone-print turtleneck. When wearing a bold sweater, you may opt to keep the rest of your outfit in a singular color scheme to allow the textures to command the attention they deserve. Turn up the volume in a color that’s anything but shy. Try an electric pink, a tropical teal, or a sunflower yellow that puts all eyes on you. Bright knitwear gives off a stylish air because it’s not the standard, so try wearing these with a cool pair of boots or a statement sneaker. Some sweaters were made to be seen. Stylized motifs in fun hues add major excitement to a fall and winter wardrobe. 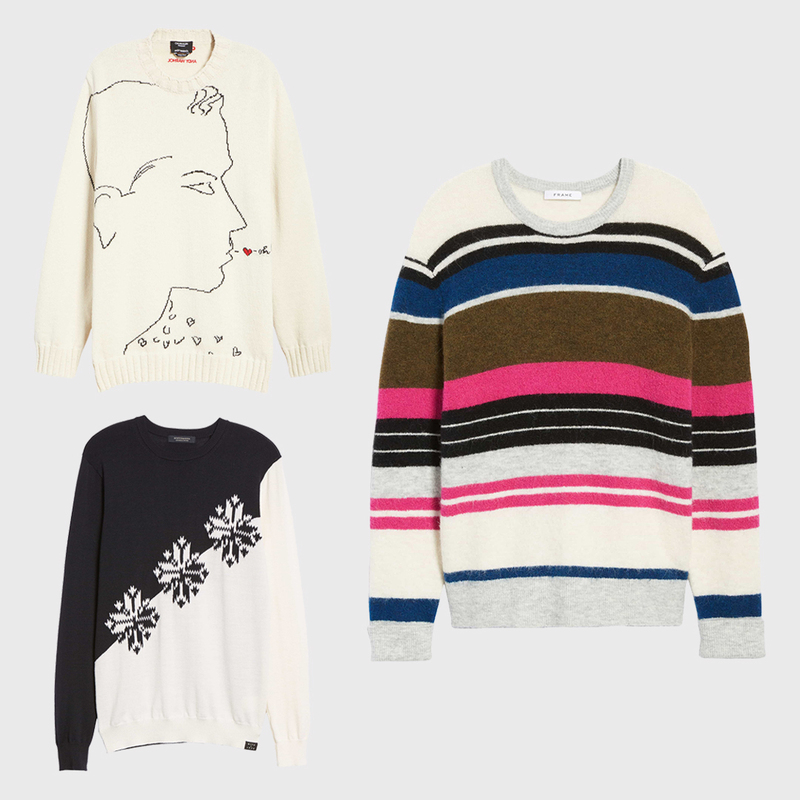 It’s the same concept that makes designer sweatshirts so sought-after, now translated to sweaters. (Yes, Kenzo is taking over your knitwear collection.) Go all-in with a high-contrast print, a lively multicolor stripe, or a graphic design.